I am really looking forward to the grant selection process of the BEST LEMON MOUSSE (citron fromage in Danish) today !!!! 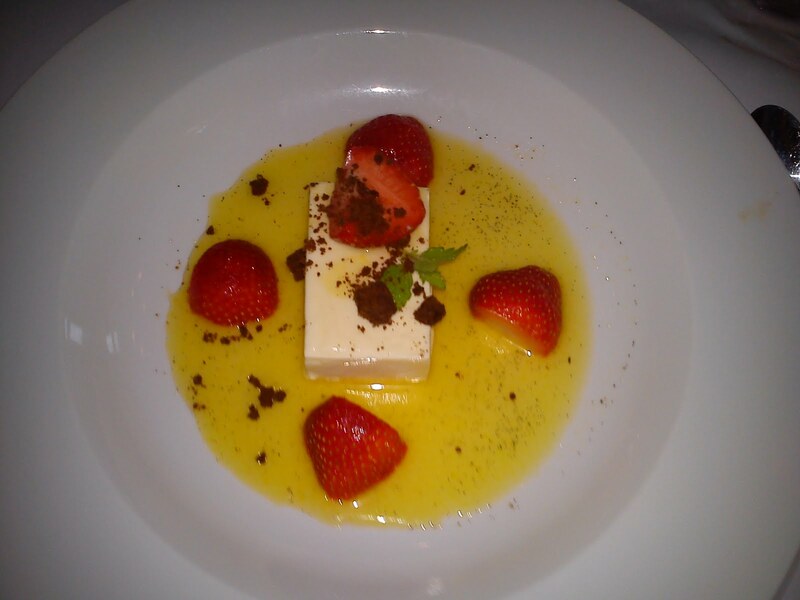 I will later on share the outcome of our selection process as well as sharing the winning lemon mousse recipe with you all. 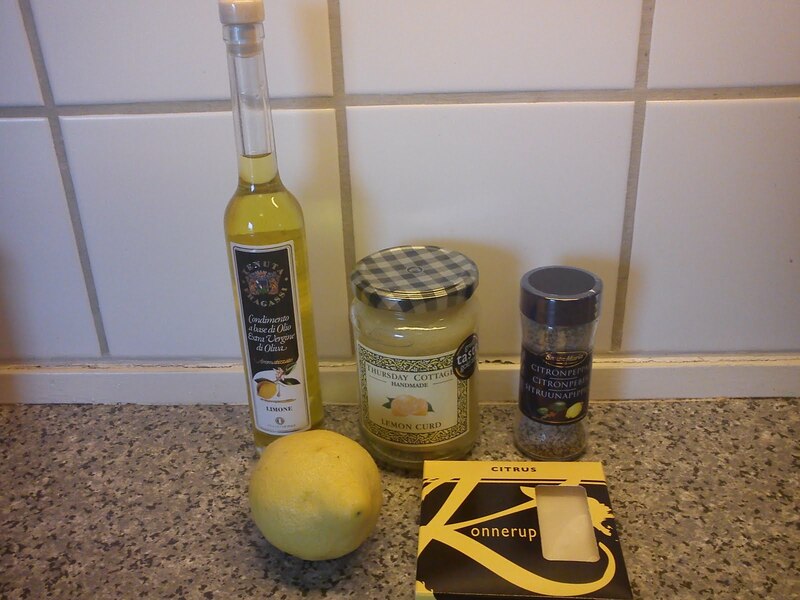 Do you have a favourite recipe on lemon mousse ? This selection will be done by a group of fantastic dairy friends﻿, which are living our life on the edge !!!! as the lemon mousse will be made from un-pasteurised eggs !!!!! Please be aware off, that using un-pasteurised egg in desserts, which not are cooked or baked, is NOT to be recommended at all due the risk of salmonella !!!!! 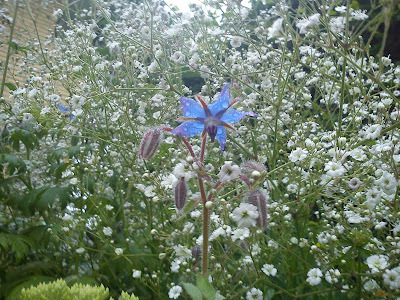 Borage is a eatable flower, which very, very easy spreads itself, when you first have got inside in your garden. So fare I have been used borage as well as flowers from different herbs such as thyme and various mints for these ice cubes. I have found the idea for lavender sugar in the cooking book called "året rundt - ideer og inspiration til lidt af hvert" by Trine Penlau. 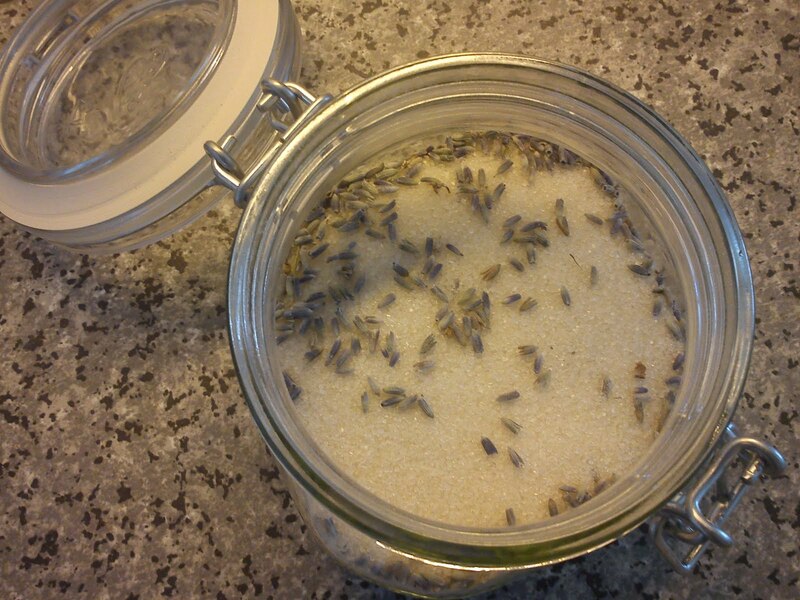 However, I have changed the ratio between sugar and lavender, so it contains more lavender in my version. 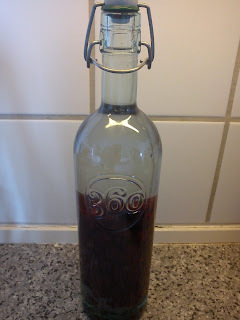 I decided to make raspberry jam using a recipe from "Almanak" by Claus Meyer. 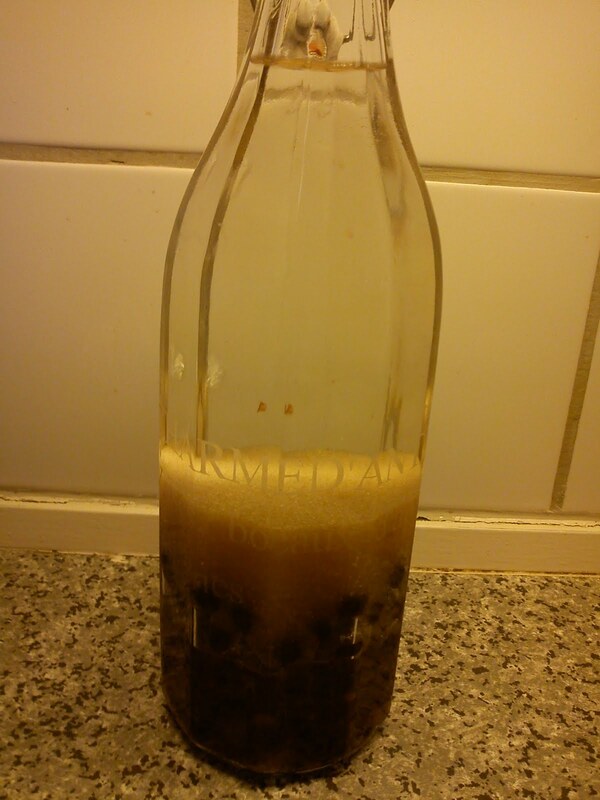 It is the second recipe, which I am trying from "Almanak". 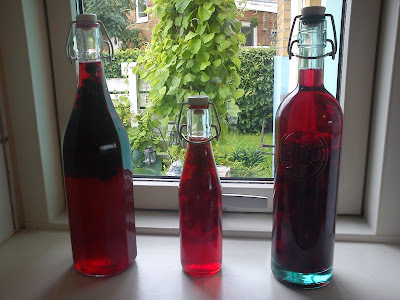 And I am really looking to taste it, as the raspberry vodka still is infusing in my kitchen. Mix raspberries, apple vinegar and sugar together and let it rest for 30 minutes in the cooking pot, without any heating on, to get juice out of the raspberries. 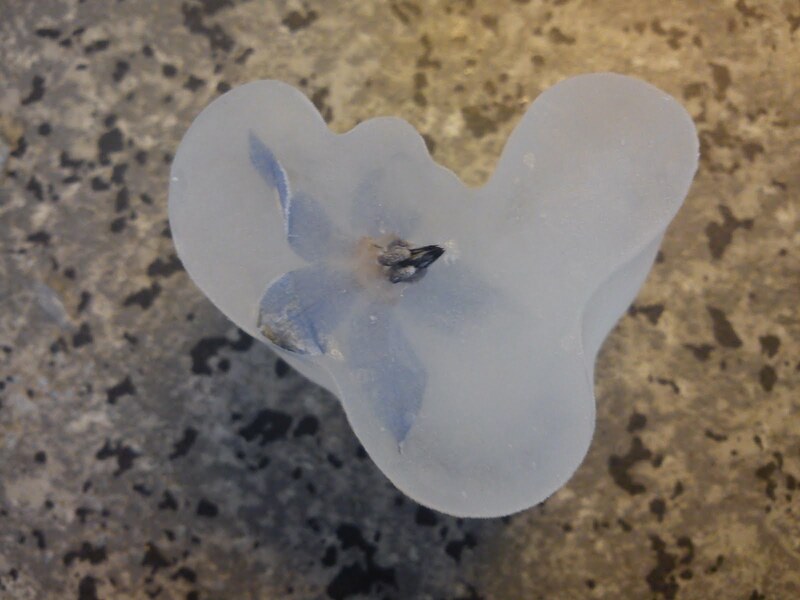 Stir in the gelling powder. 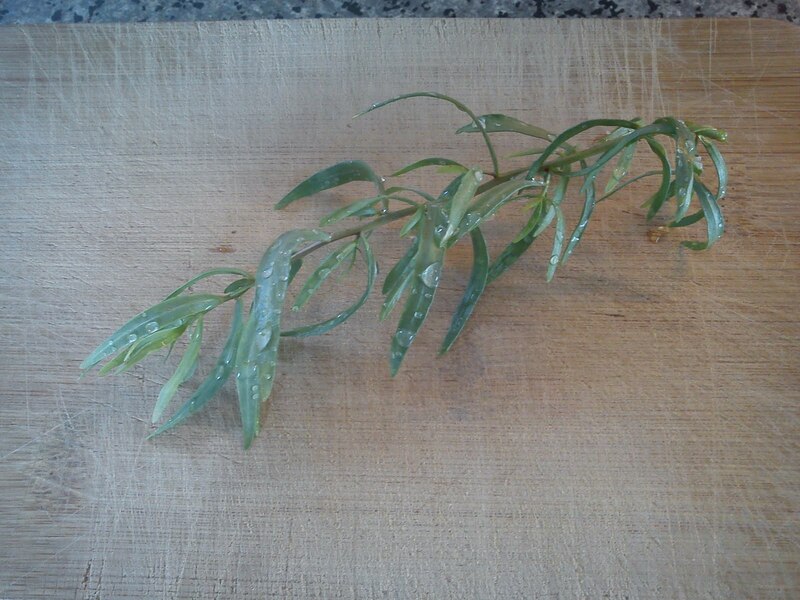 Add the rosemary (cut into small pieces) to the jam. Heat up the fruit with full power on. Bring the fruit to the boiling point and let it boil for 2 minutes. Fill the prepared glass with the hot jam and close it. Prepare the jam glasses by filling them with boiling water. 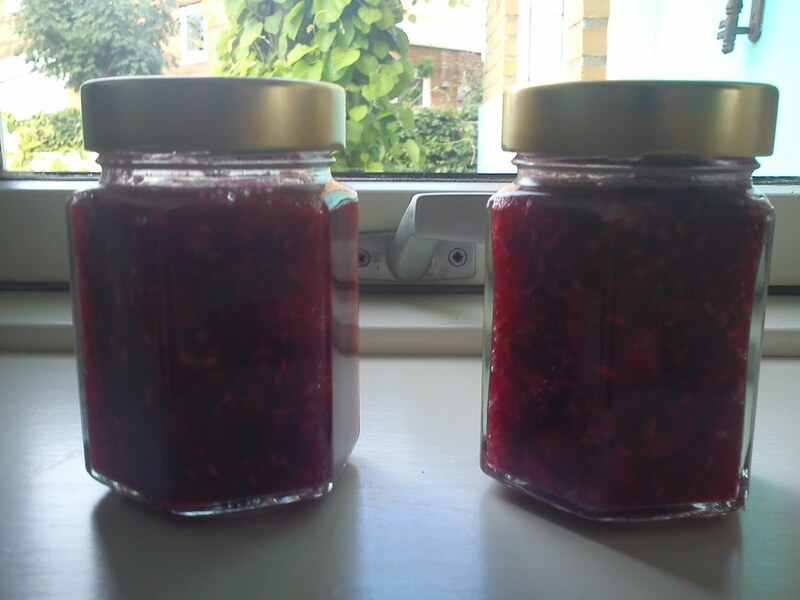 I do not use any preservatives in my home-made jam, so this is important to increase the shelf-life of your jam. As the jam is made from 3 parts of fruit and 1 part of sugar, the sugar content is not high enough to preserve the jam. As a nice end to our picnic row Aalborg - Aabybro we had our evening meal at Cafeministeriet in Aalborg before driving home. 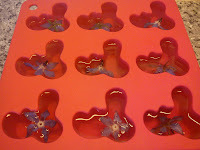 This is a short update on my efforts to put the Summer of 2011. 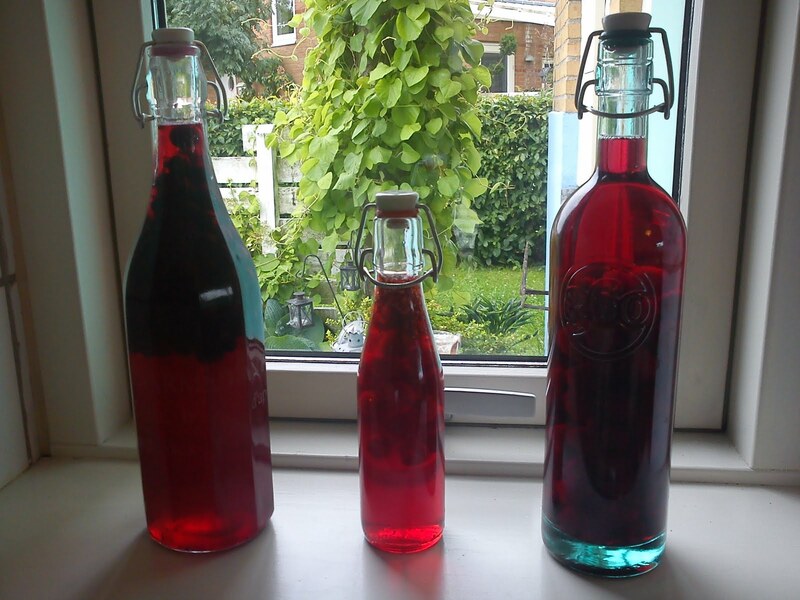 So have a look into, how the colours have changed in the various glass bottles during an infusion time of 1-1½ week. Ice cream for lunch !!! Ice cream for lunch is not a political correct at all. However, ice cream was the major part of my lunch yesterday !! During my second summer vacation in beginning of July, where I went rowing in the Masurian Lake area in Poland, I meet a rower from Aalborg. 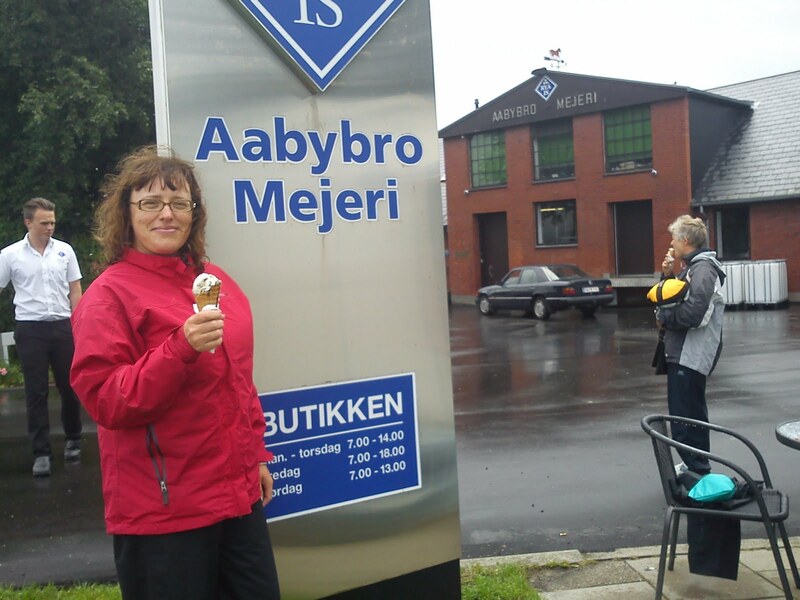 And we agreed to meet again here in July for a picnic row from Aalborg to Aabybro Dairy and return (44 km) in order to eat buttermilk soft ice at Ryå Is. And 3 other rowers thought this was a great idea and decided to join in, even though the weather forecast did not look fantastic yesterday. We had some rain in the morning combined with some more wind in the afternoon, wind against us on the return row. As starter we had buttermilk soft ice, which is a strange combination of sweet coming from sugar and freshness coming from buttermilk. I had a medium size, which was actually quiet big size. 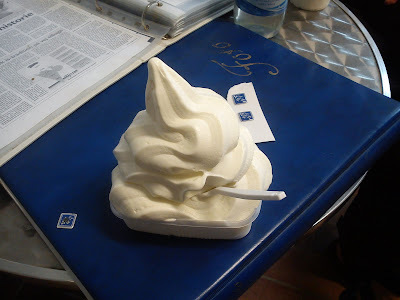 Some of us, when continued with a main course in form of ice cream based on real dairy cream. Here I had liquorice ice cream, which had a very good tasting liquid liquorice filling. 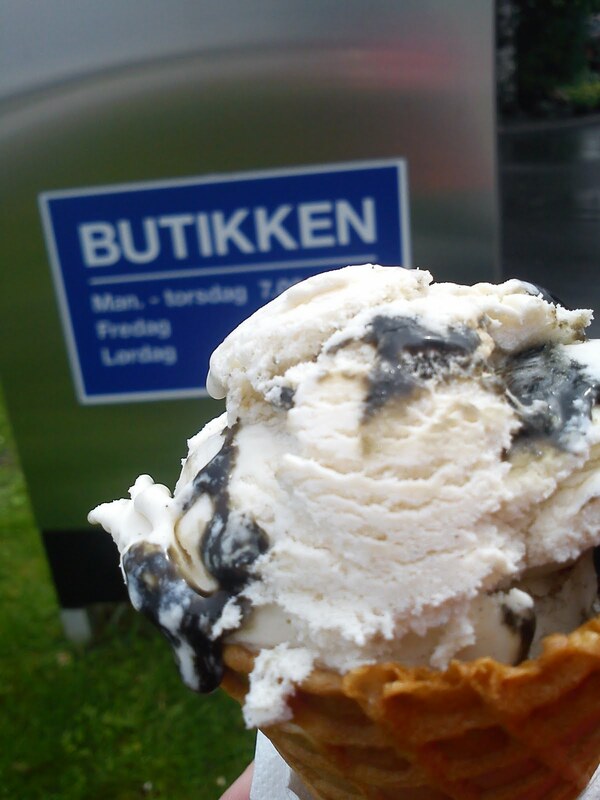 It was a good ice cream, but I personally prefer a stronger taste of liquorice. As dessert I ate a home-made sandwich with a chicken filling. And when my stomach was full !!! 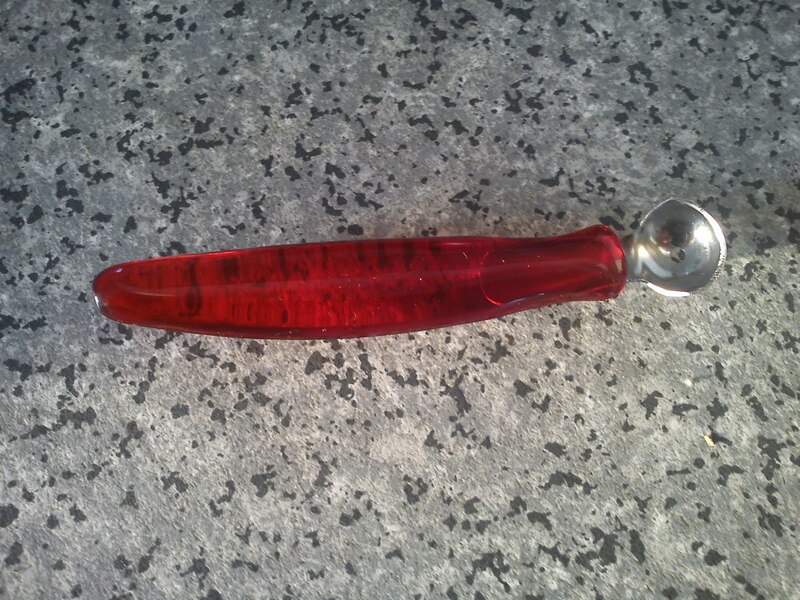 I use this strawberry picker with pleasure every time, when I have to remove the green top on the strawberry. 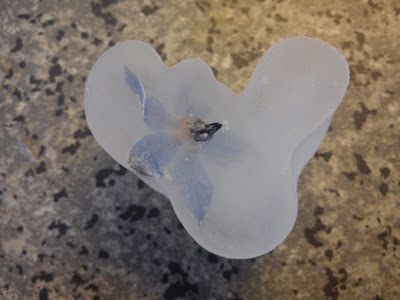 It easily removes the green part without you getting dark particles under your finger nails. It can also be used for easily removal of too soft part of the strawberry. And there is not risk for, that you cut your self in the finger during this process. 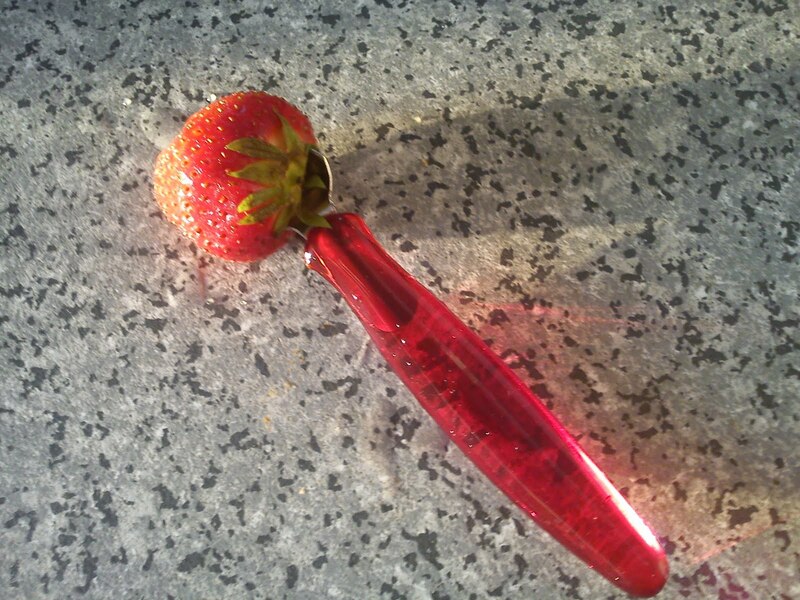 So yes, I love my strawberry picker or peeler or what every name it has :-)) And it is another funny souvenir from a business trip to US. 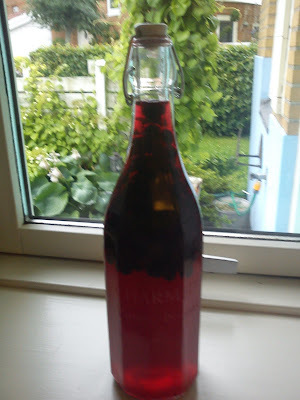 A good work colleague of mine gave me a portion of freshly picked raspberries from his garden, which I right away decided to use making raspberry vodka based upon the recipe from "Almanak" by Claus Meyer. 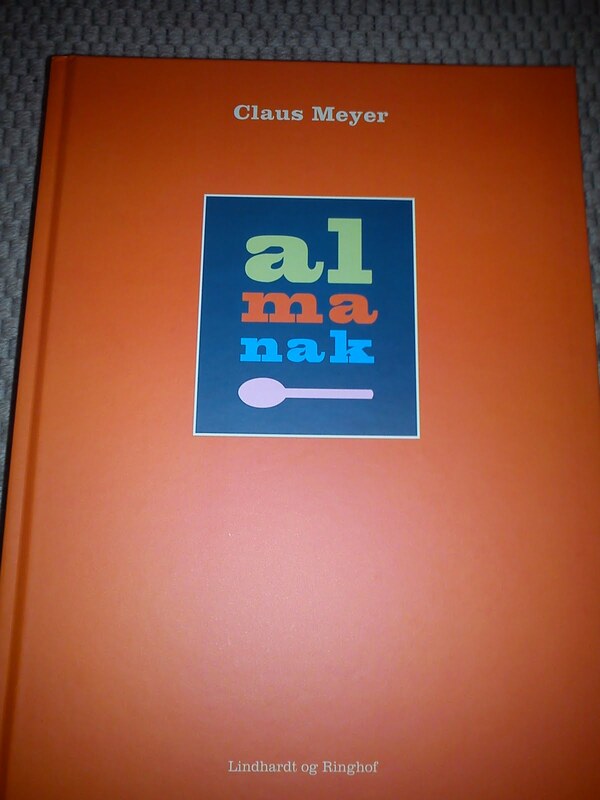 It is very first recipe, which I am trying from "Almanak". If I am able to get hold of some Danish raspberries, I will make some raspberry jam with lavender addition. My raspberry bush is getting to an end, so I can not count on a supply of raspberries to this coming kitchen project. 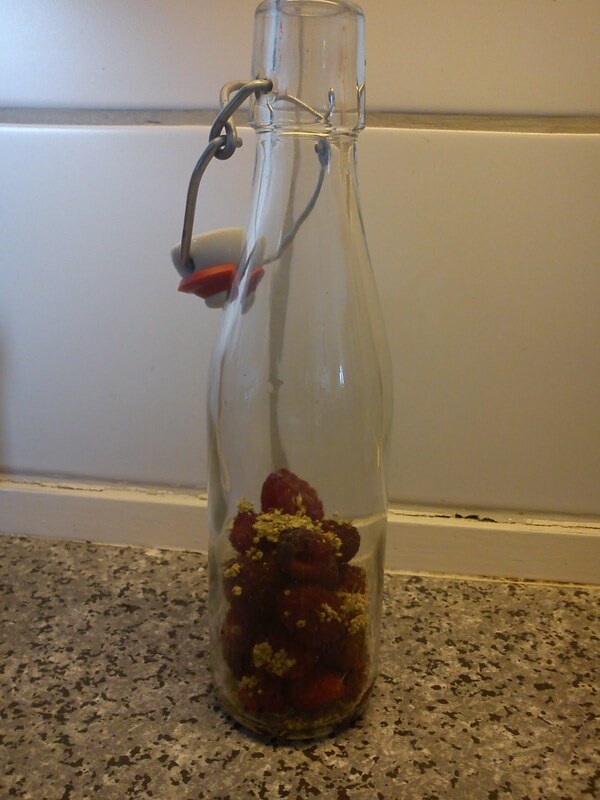 Fill the bottle with cleaned raspberries. Fill the bottle up with plai vodka. 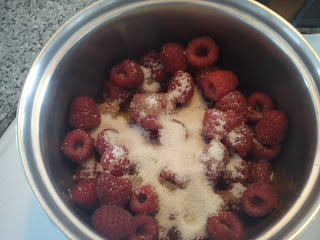 Remove the raspberries after 30 days. 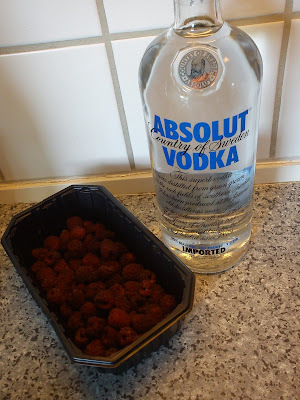 Do you have suggestion how to use raspberry vodka besides as a drink ? On one of the food blogs (Newyorkerbyheart), which I follow on a regular basis, I have just seen the introduction of a "print friendly"-tab. On a rowing holiday it can be quiet tricky to spend money, as you use your time on rowing, eating and sleeping. And as the local ice cream were not that appealing to me in combination with some very rainy weather, I still had some Polish money left on the last vacation day. Instead of changing them back to Danish kroners, I decided to spend them on Polish vodka with a high quality level. 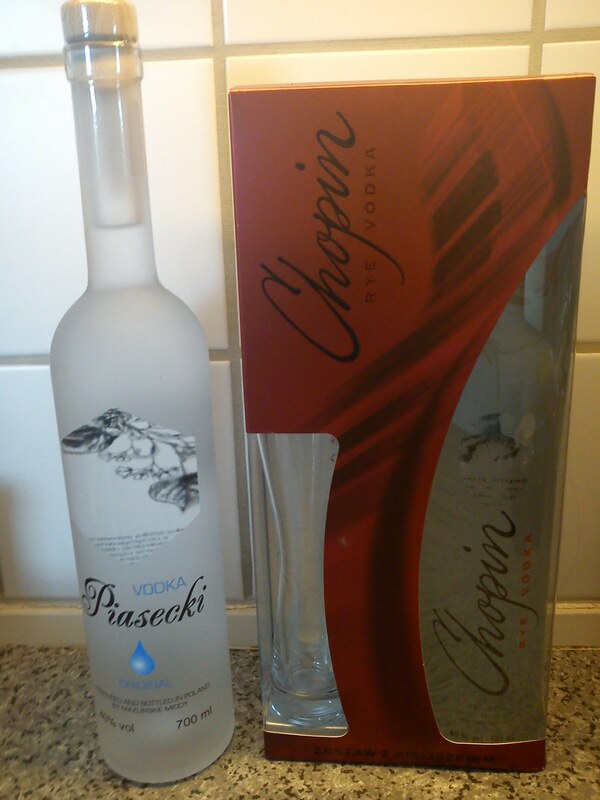 Chopin is my favorite Polish vodka brand, but I choose to be brave as well buying a bottle of Piasecki, an unknown brand to me. 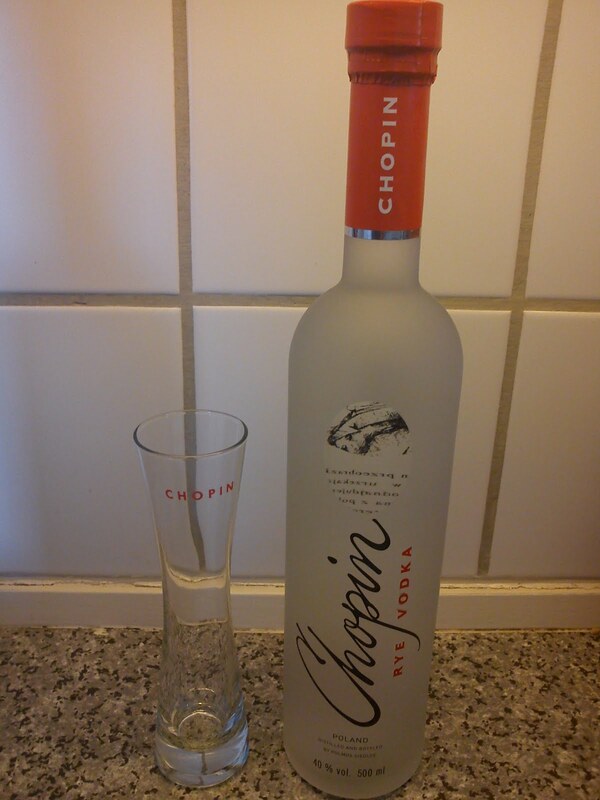 One of the Chopin options was to buy a bottle in a cardboard box containing a vodka glass, as you see not a small glass, but a big glass for grown ups. These combinations of liqueur and special glass always trickier me into buying those combinations !!!! Are you experiencing the same ? My raspberry bush is giving an amazing yield of raspberries this year. 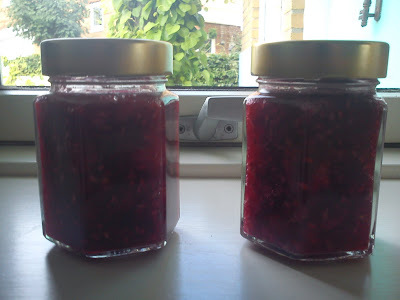 There is actual so many raspberries, that it gives me the opportunity to preserve/save them for enjoyment later on in 2011. So I have been thinking how to do this. During my extended week-end to Samsø I found some small Ulla Fredsøe recipe cards with very appealing drawings combined with various recipes. 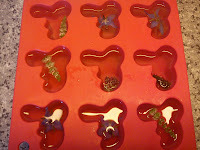 One of these recipe cards had a recipe on raspberry vinegar, which I have decided to twist by adding dried elder flower. 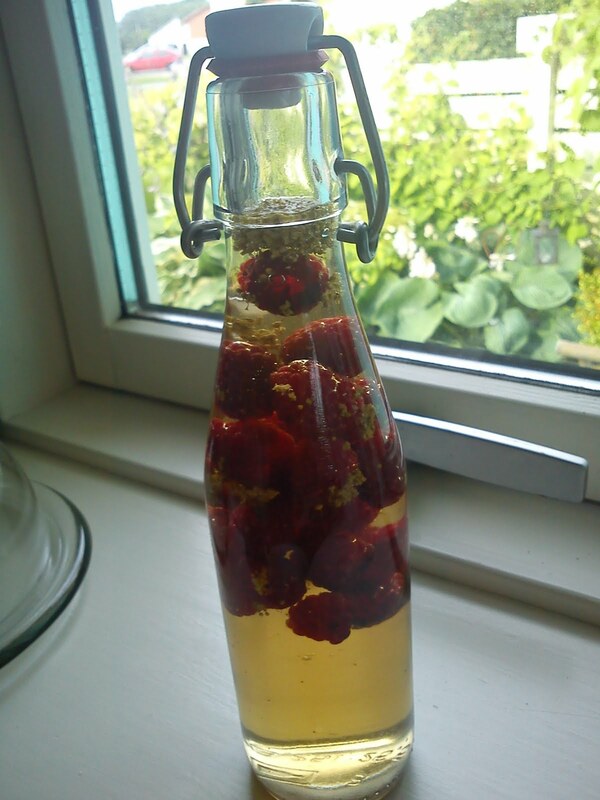 Another thing I would like to try with my home-grown raspberries is to make raspberry vodka using a recipe from Almanak by Claus Meyer. 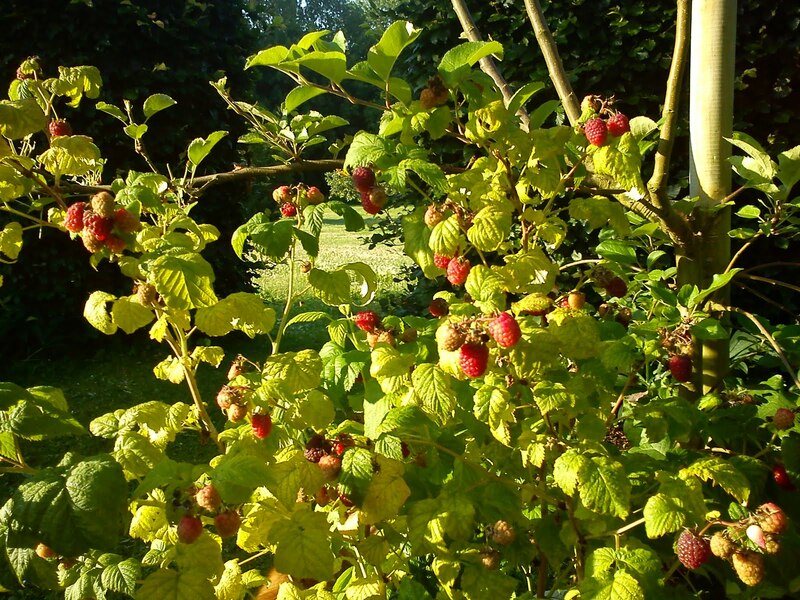 How would you "save" your home-grown raspberries ? Add boiling water to the glass for 4-5 minutes. 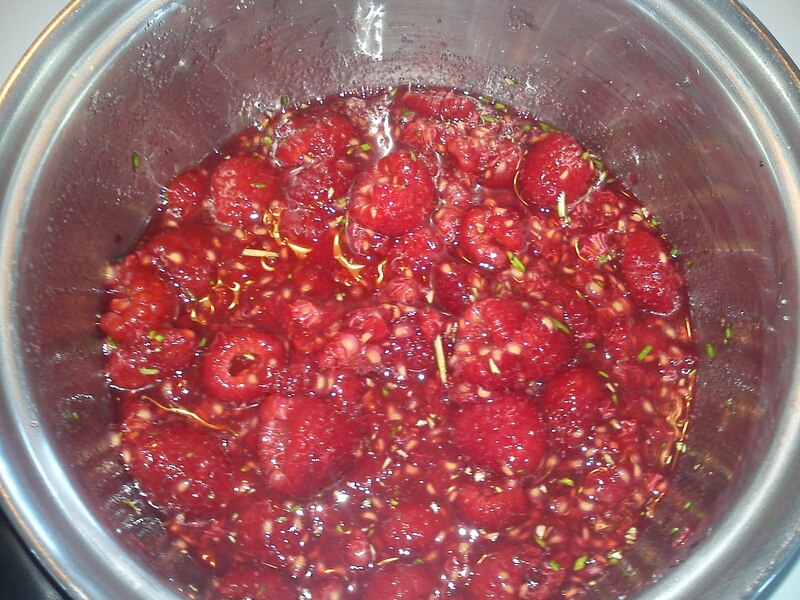 Wash and dried the raspberries. Empty the glass bottle for the water. 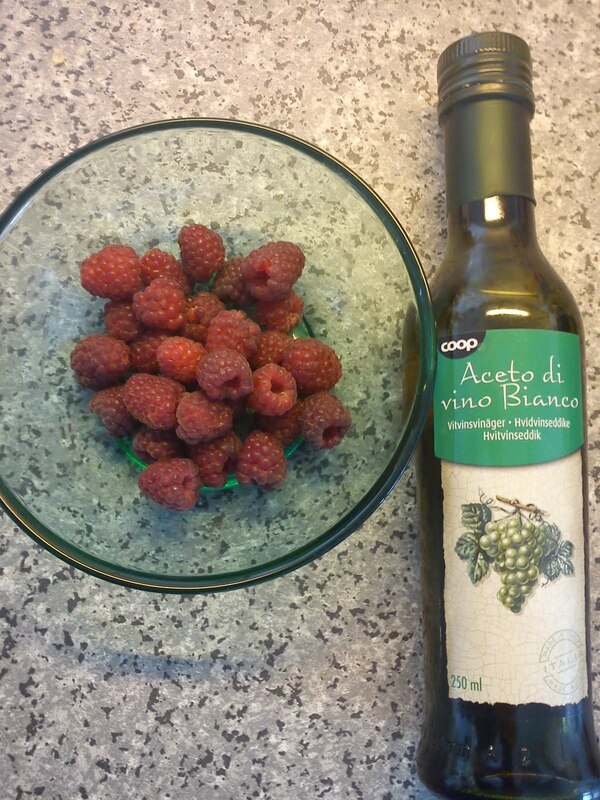 Add the raspberries into the glass bottle. 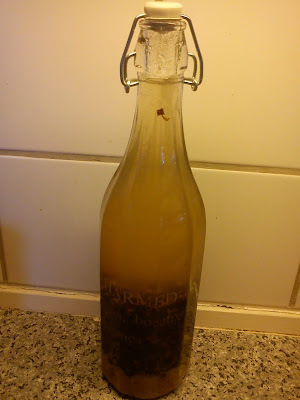 Add the dried elder flower. Fill the glass bottle up with white wine vinegar. 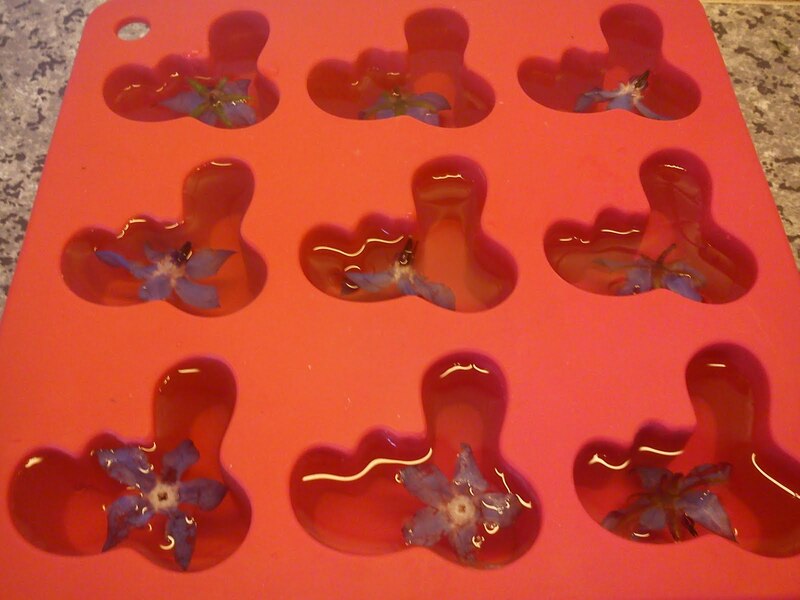 Place the glass in the window frame and let it infuse for approx. 1 month. Remove the raspberries after 1 month. 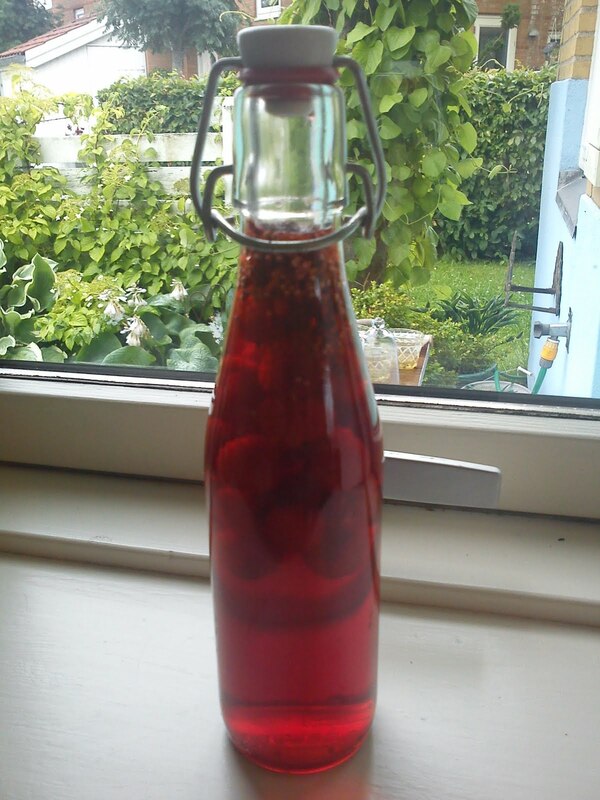 Store the raspberry vinegar in a dark place. The last and final work using these mega blackcurrants from my friends' kitchen garden was to make a summer version of blackcurrant jam. Tasting these blackcurrants I found them to have quiet a fresh/sour taste, so I decided to increase the sugar level from my usual ratio of 2 parts of fruits to 1 part of sugar to a level 3 parts of fruit to 2 parts of sugar. 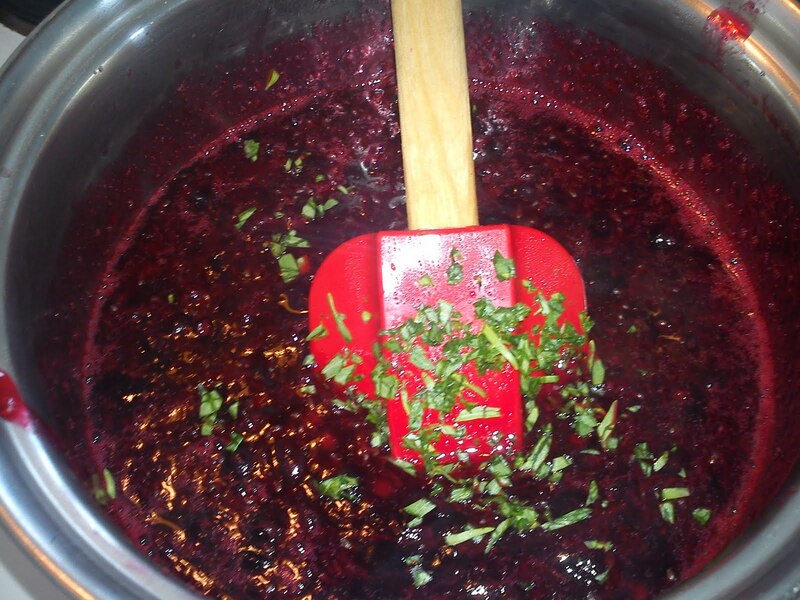 Heat up the blackcurrant in a cooking pot together with a small amount of water. 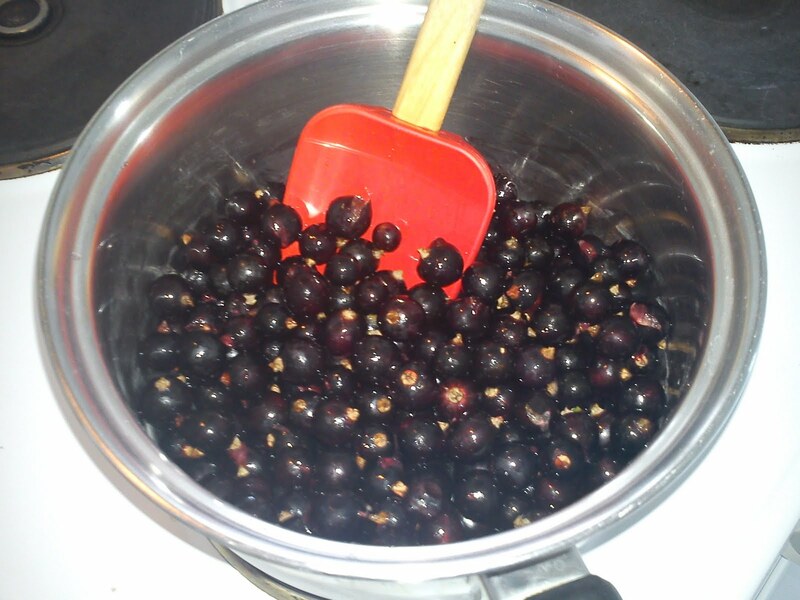 When the blackcurrant are boiling, add the gelling powder and agitate. Bring the fruit, sugar, taragon and pepper to the boiling point again and boil for another 2 minutes. As the jam is made from 3 parts of fruit and 2 part of sugar, the sugar content is not high enough to preserve the jam. I received this recipe on blackcurrant muffins in the weekly newsletter from "Sæson for god smag"﻿, which fitted perfect with the fact, that I had just being pickíng blackcurrants. I decided to make the muffins following the exact recipe without making any modification at all. I find the muffin dough to be pretty standard without being inspiring at all. And in my opinion it is only the addition of the relative big amount of blackcurrant, which actual makes this muffin interesting at all, as the blackcurrant brings freshness and taste to the muffin. 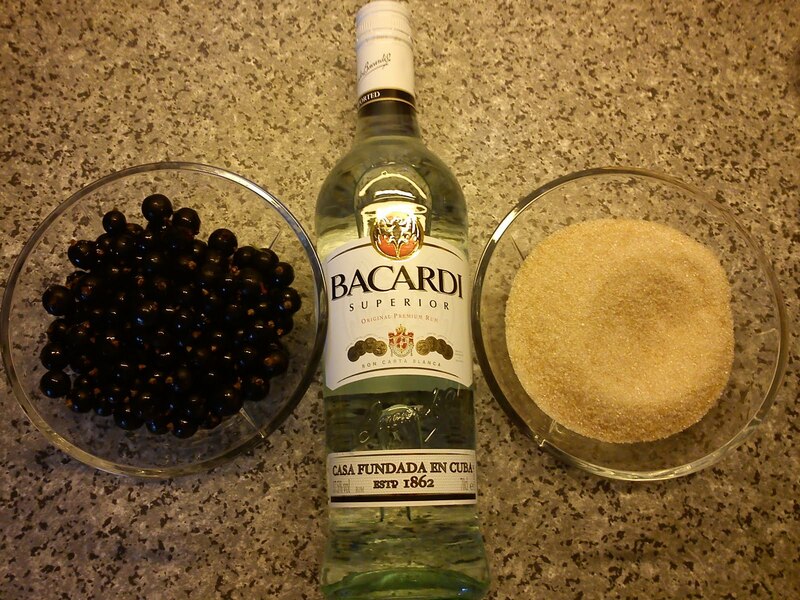 The relative big amount of sugar is needed in order to compensate for the freshness/sourness of the blackcurrant. If you would use a more sweet fruit, I would reduce the amount of added sugar with 50-75 g.
Add butter and sugar into a mixing bowl and whip it into a homogeneous mass. Add the eggs and whip again. Add baking powder and vanilla sugar and whip again. Add milk and whip again. Add flour and whip again. The dough now becomes relative firm. Consider to add extra milk, if you the dough to be too firm. 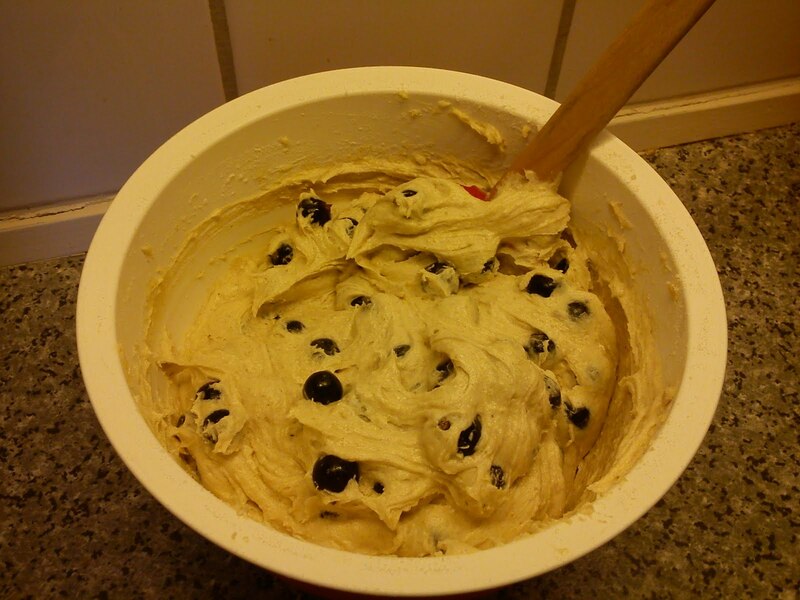 Add the blackcurrants and stir them gentle into the dough. 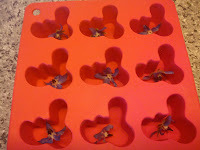 Fill the muffin forms with the muffin dough. Bake at 200'C for 20-25 minutes. Check if the muffin dough is actual baked, before you remove the muffin from the oven. 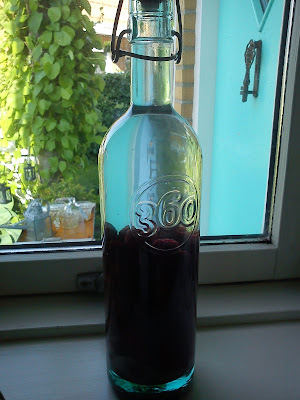 I found this recipe on making blackcurrant rum on the blog called Life of La Tascha, which I decided to try using my giant blackcurrant. 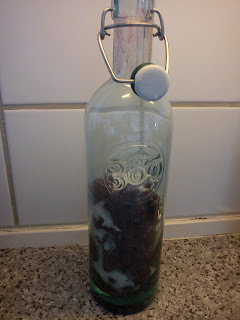 I am really looking forward to taste, how this way of preserving summer on a bottle will turn out. Fill the bottle with cleaned blackcurrants. 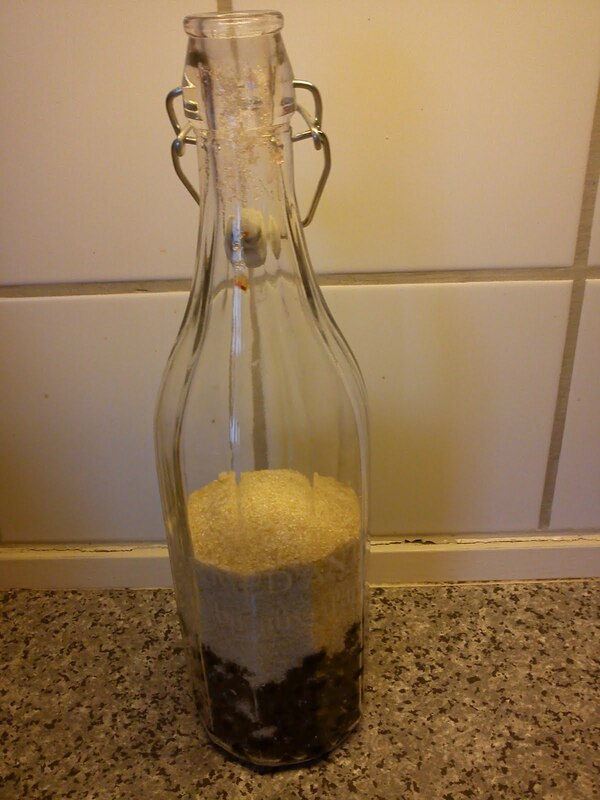 Shake the bottle regular to dissolve the sugar, which is placed at bottom. Be patient !!!!! The blackcurrant rum should be drinkable around Christmas time !!!!! Some friends of mine living in a neighbour city have a relative big kitchen garden. And in this kitchen garden they grow blackcurrants, not just common blackcurrant, but mega, mega BIG blackcurrants. 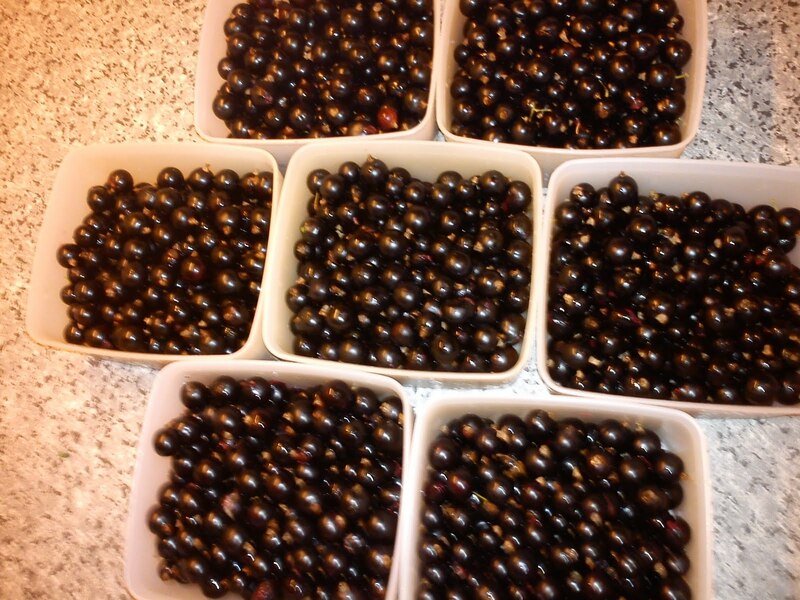 I do not know, if my friends are talking or singing to their blackcurrants or if they are doping them !!!!! 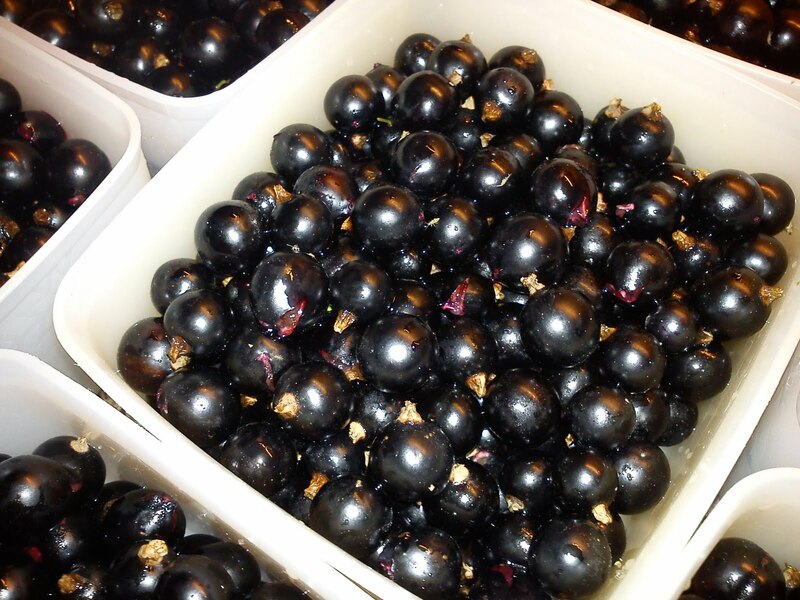 These blackcurrants are bigger than the "normal" blackcurrants, which you can buy in shops. 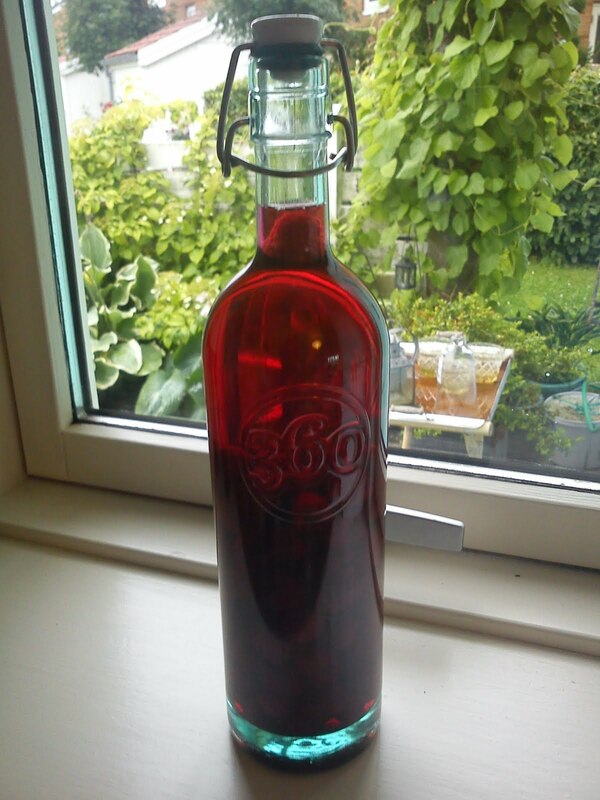 Blackcurrant rum a la "La Tascha"
I will share these recipes with you later on. Do you have some interesting suggestions for how, I can use the rest of these big blackcurrants ? Finally the raspberries in my little garden are starting to ripe in different tempos. I have been eating a small hand full the last two evenings, while I have been watering all the different plant pots in the garden. 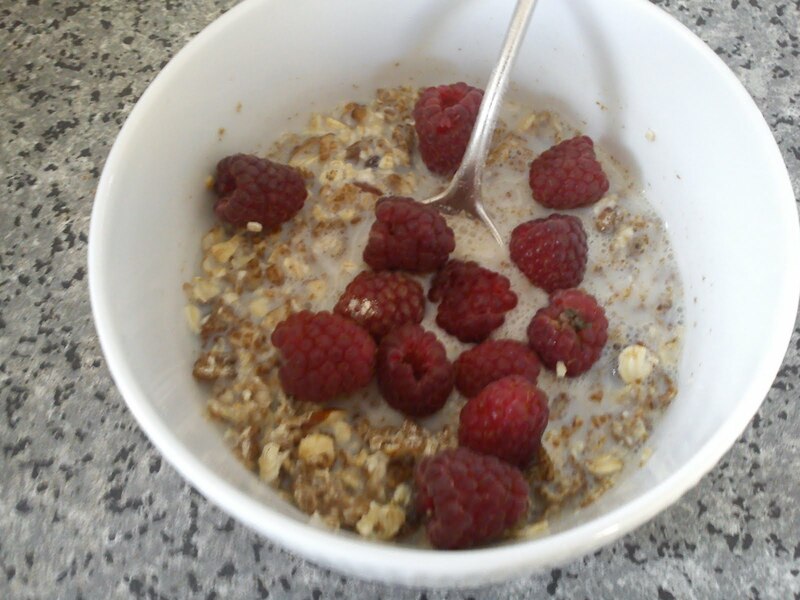 However, this morning I decided to eat my breakfast cereals together with freshly picked raspberries on top. It feels great just to open the door to the garden, take the breakfast bowl in the hand and go picking raspberries direct from the bush. Perfect breakfast concept and excellent taste. 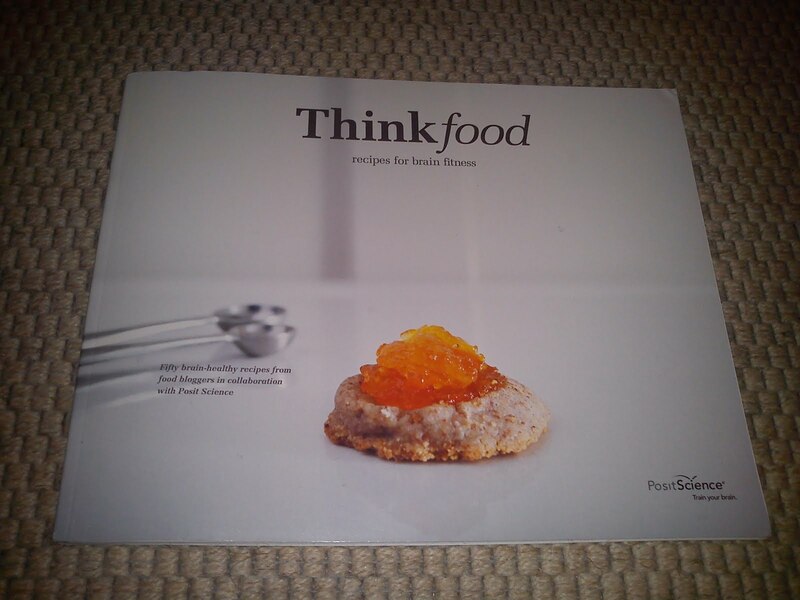 The focus of this cooking book called "Thinkfood" is recipes for brain fitness. The cooking book contains fifty brain-healthy recipes from food bloggers in collaboration with Posit Science. 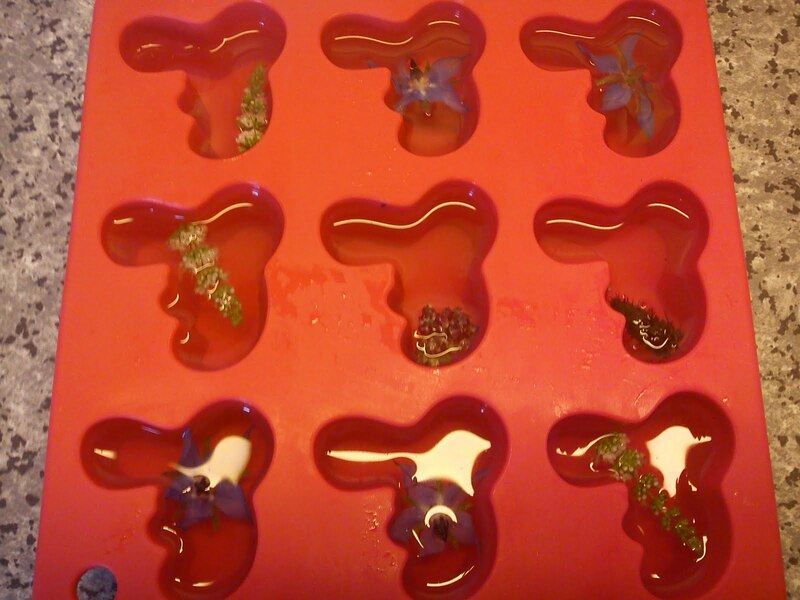 I have found some quiet interesting recipes, which I am looking forward to test in my kitchen. During the extended week-end to Samsø we had book a week-end package at Ballen Badehotel, so they took care of breakfast as well as the evening meal, so we only had to focus on cycling around on the island. The service at the hotel was very personal, dedicated and just excellent. 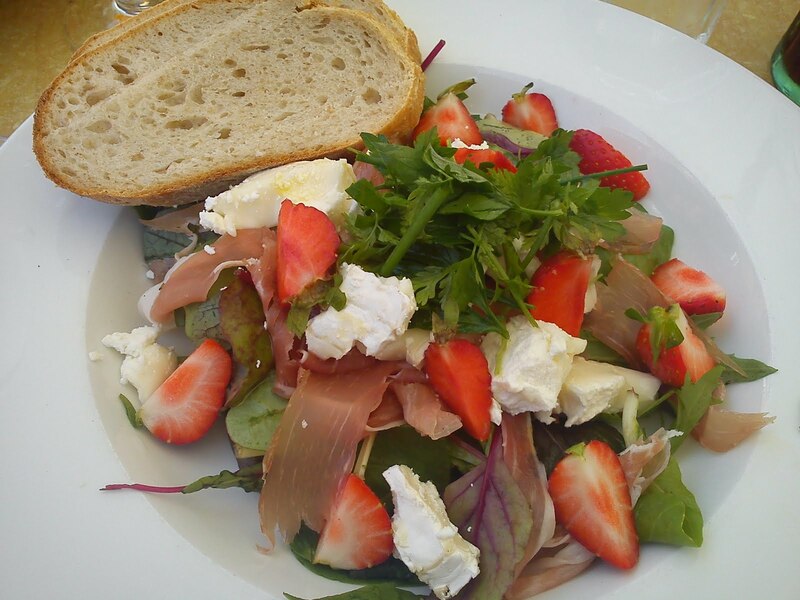 So all in all an perfect week-end at Ballen Badehotel. 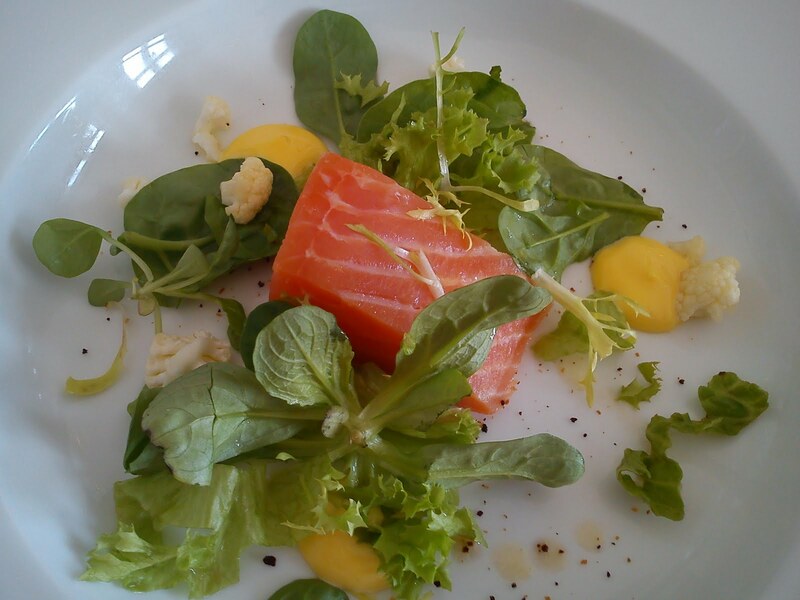 For the first evening meal we had home-smoked salmon served together with saffron mayonnaise and fresh spring salad. Great taste and combination. 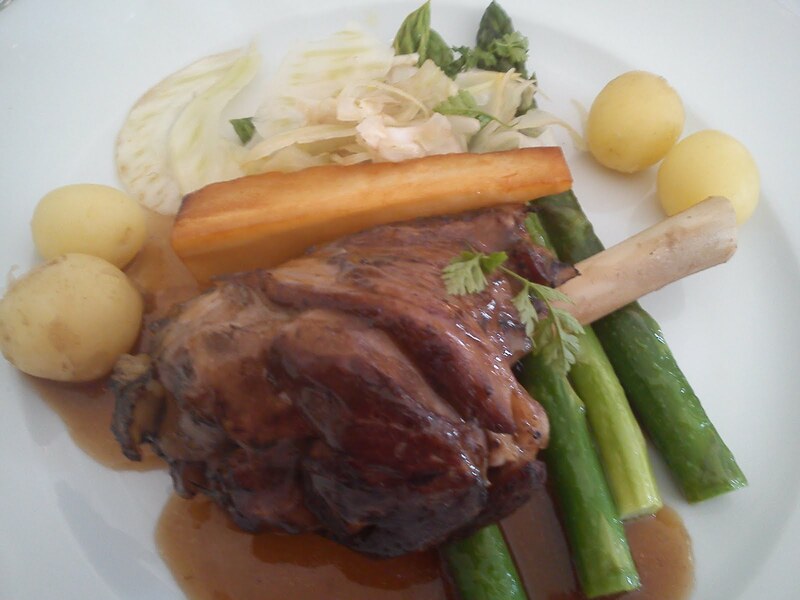 As main course we were served red wine marinated lamb shank together with fennel, pasternak and sauce. 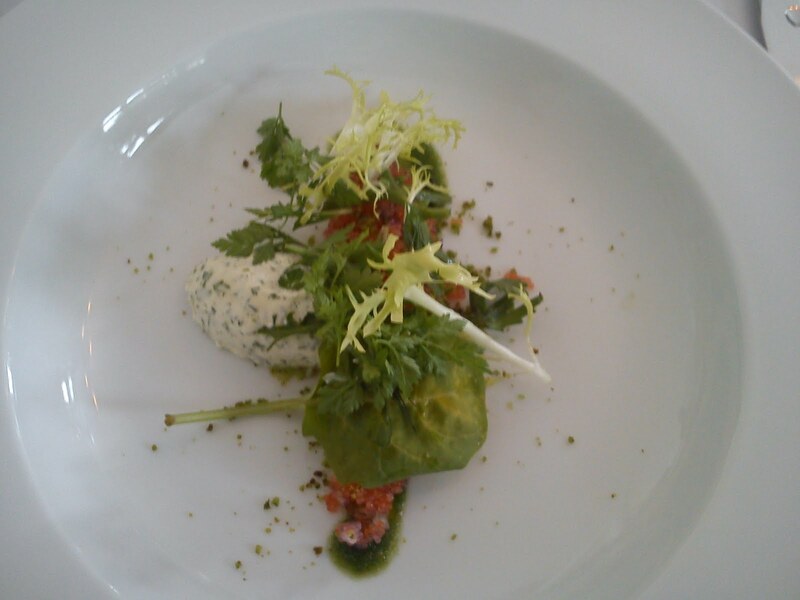 The green asparagus and potatoes were from Samsø. 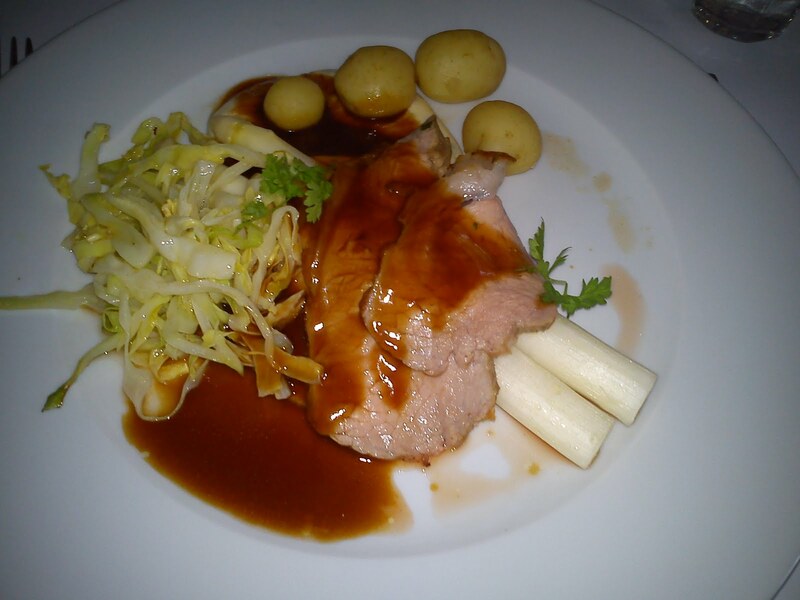 As main course calve culotte served together with celery pure, various green from Samsø including potatoes and white asparagus.